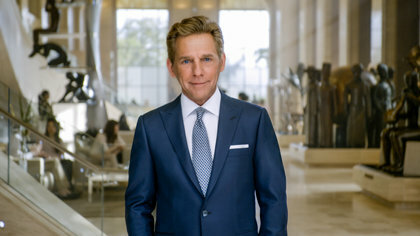 Because of Mr. Miscavige’s leadership and, and the continued drive to help, you know if you compare it to years past, you know when I came into Scientology years ago, it was sort of, in my town, anyway, it was sort of a quiet little activity. And, and it definitely is that no longer. And with each year that goes by, you know the strength and the growth and the power of our organization to help, it just expands exponentially. 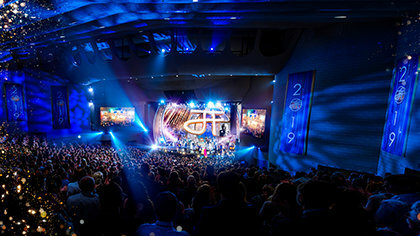 And so I don’t think there’s, there’s any question, in current light of how big we are and what we’re doing in the world that, that we’re actually accomplishing what Mr. Hubbard intended for Scientology. If you look at the statistics every year for the last several years surpass so many numbers of decades of prior growth and, and, and help that, that we’ve given in the communities that our, our churches serve. So, that’s a pretty strong statement, you know to, to combine decades worth of you know, global movement and then in one year, top it and then the next year, top that, and, and keep doing it, year, after year after year. That, it, it’s, it completely impresses me that, you know the programs, and the, the outreach that he’s constantly directing us to so that we help more people. I definitely would count him as, as one of the greatest friends that I have. You know, he’s very, very much…I know that he’s there doing things to help me and help others, every minute of every day that he lives and breathes, you know. So the dedication, the hard work that he puts in, and it’s not just for our organization. I mean obviously it’s, it’s expanding what we do, but the whole point of that and you, you can feel from him in his, the way he talks that the point of it is that we then help others.